Soak the chickpeas in a quart of water overnight. 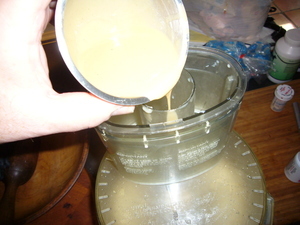 Drain and place in the pot with a fresh quart of water and the baking soda. 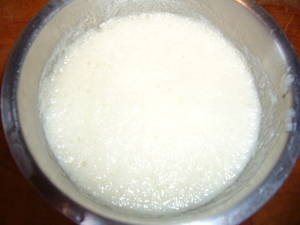 Bring to a boil, and then simmer for an hour or till creamy. Drain, reserving the liquid. 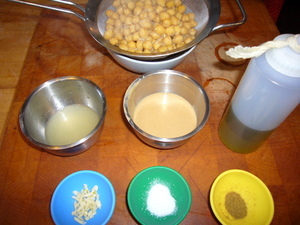 Assemble ingredients as cooked chickpeas cool. 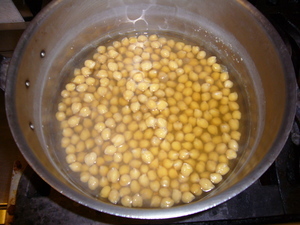 Mix 1/4 cup of the reserved chickpea cooking liquid with the lemon juice. This may seem to curdle. 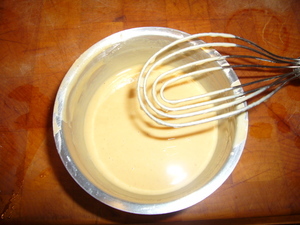 Whisk 2 tablespoons of the olive oil with the tahini. 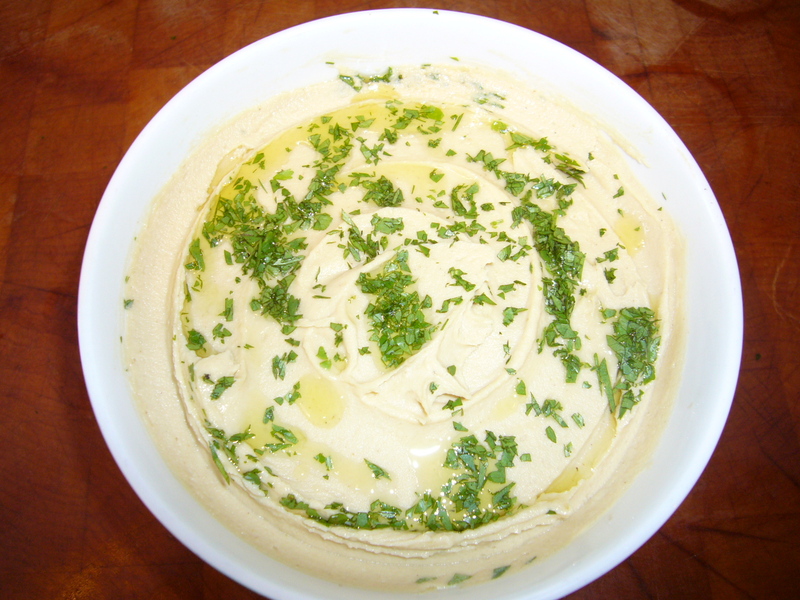 Process the chickpeas, garlic, salt and cumin in a food processor for about 15 seconds. Scrape sides. 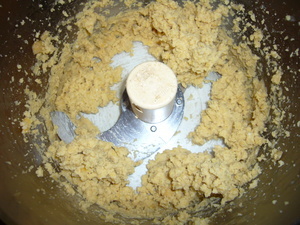 With processor running, add the lemon mixture slowly through the feed tube. Process for about a minute. Scrape down. 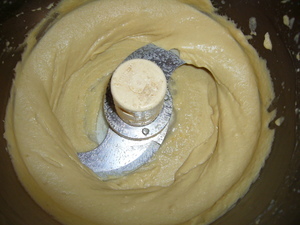 Slowly add the tahini mixture through feed tube as processor runs. 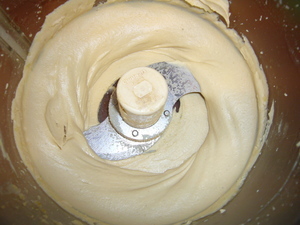 Process till smooth and creamy. Allow to sit for a half hour for flavors to blend.